Sun-dried tomatoes, when added in soups, stews and sauces just before serving, add a rich colour to the dish. Apart from this, they also add a nice piquant aroma to any dish they are added in. Pair them with black pepper and you’re done for the day. 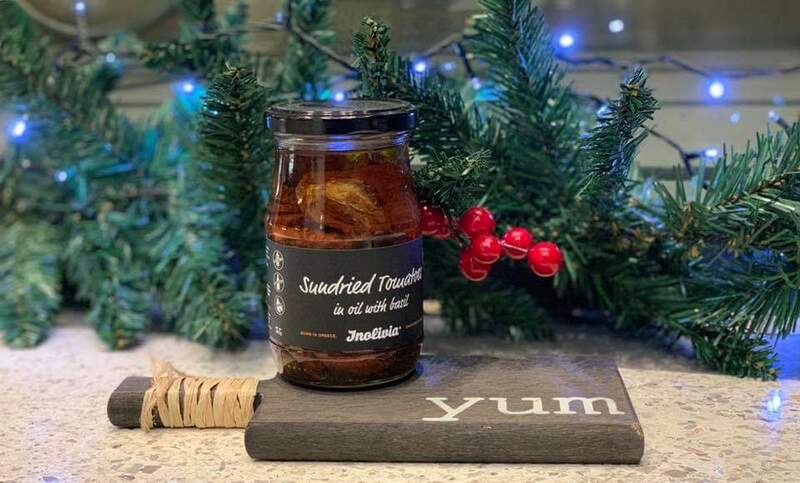 If you are tired of having tomatoes and wish to experiment with something same yet with a different texture, replace it with sun-dried tomatoes. You can have them in sandwiches, pasta, pizzas or any other dish of your choice. Sun-dried tomatoes in the salad are a perfect addition. You can add them in tuna and chicken salad to increase the nutritional value of your meal. Alternatively, slice and serve them in pasta salads. So, what are you waiting for? Make the best of these tangy delights and add them to your diet more often. A decade or so ago, party dips were mostly relegated to guacamole and salsa. The surge in popularity of the heart-healthy Mediterranean diet (#Mediterraneanlife), however, has seen a huge spike in the number of hummus enthusiasts, a fortunate event since the dip is both delicious and healthy. 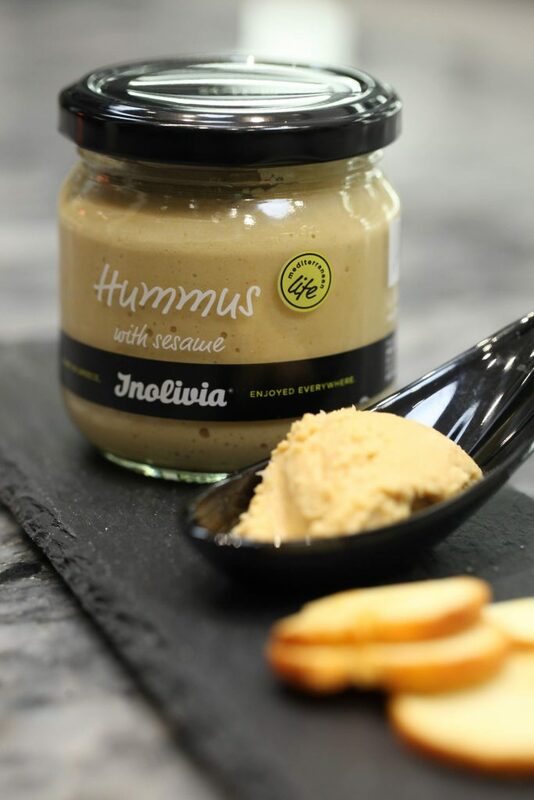 Hummus (#Inolivia) is a great trifecta of macronutrients — combining a good source of protein, fiber and healthy fat. At the same time it’s also a micronutrient dense dip providing good calcium and iron content, and packed with vitamin E and B and minerals like magnesium and potassium. The main ingredient in hummus is chickpeas, which are plentiful in the Mediterranean. One of the healthiest legumes out there, chickpeas pack a seriously impressive portfolio of benefits. Chickpeas are high in plant-based protein, magnesium, potassium, and have a low glycemic index. Chickpeas also contain fiber. Fiber helps with regularity and helps to prevent constipation. This high fiber content can help promote weight loss and cardiac health. The next best-known component of hummus is tahini, a paste made from ground sesame seeds, that’s also full of protein. Sesame seeds are packed with vitamins and minerals like folate, calcium, iron, manganese, magnesium, selenium and zinc. Other commonly included ingredients are some form of oil, garlic, lemon juice and various ground spices for flavor, like cumin. The olive oil used to puree the chickpeas is a source of healthy and unsaturated fat. The debate over the origin of hummus is old — probably as old as hummus itself. The Greeks like to claim it as their own, but the Arabs are equally adamant in their claims. Even the Israeli’s claim it, but we’ll get to that later. So, who is right? The honest truth is that no one really knows for sure. The Greeks and Egyptians were trade partners for centuries which may explain with many of the foods in Greek and Arab cuisine are similar, if not identical. Regardless of where it’s originally from, hummus is a delicious dip and spread that’s enjoyed by all cultures, not just Greek and Middle Eastern. You can now find in just about every western supermarket and many mainstream restaurants. so it’s become a great example of a “crossover” food, so much so that some people find it so common now that they don’t even realize its roots.